One of the important areas of museum research is that of provenance, or the history of ownership. Why is it important to know who owned an artwork? Well, for a number of reasons. Studying provenance also gives us insight into the history of tastes and collecting. Believe it or not, artists that are esteemed today (like Johannes Vermeer) were not necessarily well-known or widely collected in earlier centuries. Studying who owned the work of such artists can teach us much about social, economic, and political history. Finally, it establishes proof of ownership. If you know the provenance of an artwork, you won’t spend a lot of money on a painting that had been stolen. Because a museum must take good care of the objects in its collection (we call this stewardship), the mandate for provenance documentation is usually included in written policies. To help museums in understanding the best practices required of them, professional organizations also provide guidelines that emphasize the need for provenance research. In particular, European art requires this type of ongoing investigation–we’ll see why in a moment. This means that checking, documenting, and uncovering the history of ownership of our artworks is one of my main job duties. Provenance research can be exciting. It can be boring. It can be satisfying. It can be frustrating. But it is crucial, and luckily, I enjoy doing it! I’ve touched on provenance in some previous posts (including Miss Frances Lee and a portrait attributed to Anthony Van Dyck and his workshop). Today’s post launches a series that will highlight some of the interesting provenance cases in the Milwaukee Art Museum’s Collection. Before we dive into the series, I want to share a bit about the history of provenance. I mentioned that research into provenance is essential to prove ownership. For European art, this is particularly pertinent because of the fate of artworks during times of war and unrest. Looting is sometimes opportunistic—people taking treasures because of their value. But looting is also a way for the victor to show power over the vanquished. Buildings, artifacts, and artwork are crucial to the identity of a culture, and what better way to break the spirit of a people than though destroying and stealing these cultural expressions? Let’s look a few examples of particularly influential looting. Relief showing triumphal procession with the spoils of Jerusalem. Arch of Titus, Roman Forum, ca. AD 81. Photo by the author. In ancient Rome, a victorious general would enter the heart of the empire with his soldiers carrying plunder and leading prisoners. This display of power provided proof of his conquests, earned the respect of the Roman people, and claimed the power and glory that victory entailed—not to mention the profit that he could make by selling the riches. 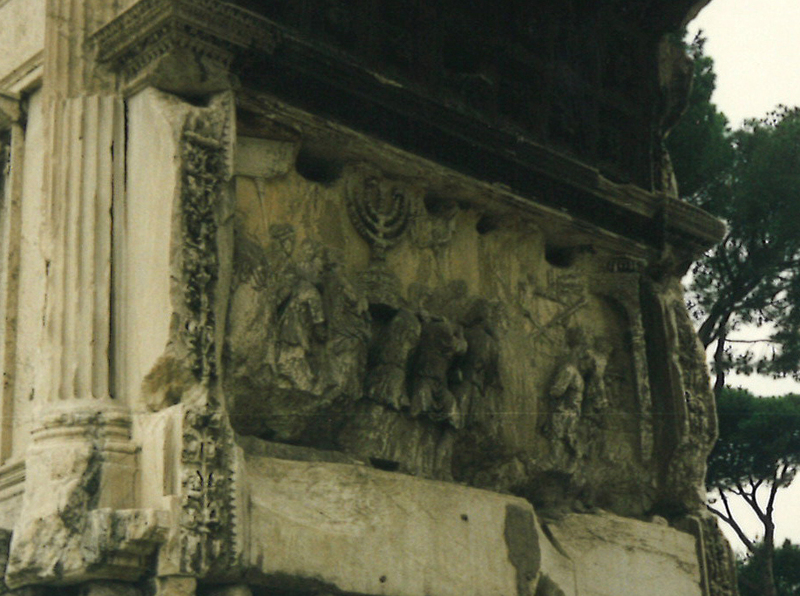 The Arch of Titus in the Roman Forum includes a relief showing a triumphal procession made after the sack of Jerusalem (right). The soldiers carry the booty that the Romans took from the city–including a large menorah, which you can see raised high above their heads. Later on–between 1796 and 1812–Emperor Napoleon of France mandated the looting of artwork from enemies during his various military campaigns. Using the Ancient Roman precedent for his imperialist policies, Napoleon saw this as a way to not only help pay for war, but to also raise the morale of French citizens. Albumen silver print of the Apollo Belvedere, a Roman marble copy from ca. mid-2nd century AD of a Greek bronze from 330–320 BC. Photograph ca. 1854–55 taken by James Anderson (British, 1813–1877). Digital image courtesy of the Getty’s Open Content Program. The Louvre, at that time recently opened, was to be the showplace for these riches. The most famous example of Napoleon’s plundering of artwork was in Italy. The Treaty that Pope Pius VI signed with Napoleon demanded that many of the art treasures of the Vatican would be sent to France, including the Apollo Belvedere (left) and Raphael’s Transfiguration. After Napoleon’s defeat, English officials returned much of artworks to their origin. Even today, looting of art and cultural material happens in places of unrest. In August 2013, the Mallawi Museum in Egypt, which holds artifacts from Tell el-Amarna, the capital city founded by Akhenaton around 1350 BC, was broken into during protests. About 600 artifacts are missing and about the same number were damaged during the attack. In January, Italian police recovered 5,000 ancient artifacts that had been looted from illegal digs for selling on the international market. Just last month, the Mosul Museum in Iraq was ransacked by ISIS militants. They destroyed many important ancient sculptures from the Assyrian and Akkadian cultures. Museums, as you can imagine, must therefore be informed and proactive in finding out where their collections come from, no matter when they were accessioned. It’s not only good for us, it means that we are being ethical in our decisions and doing the right thing! In my next blog post, we’ll look more at the period of art looting that is most familiar to many: the Nazi period in Germany. 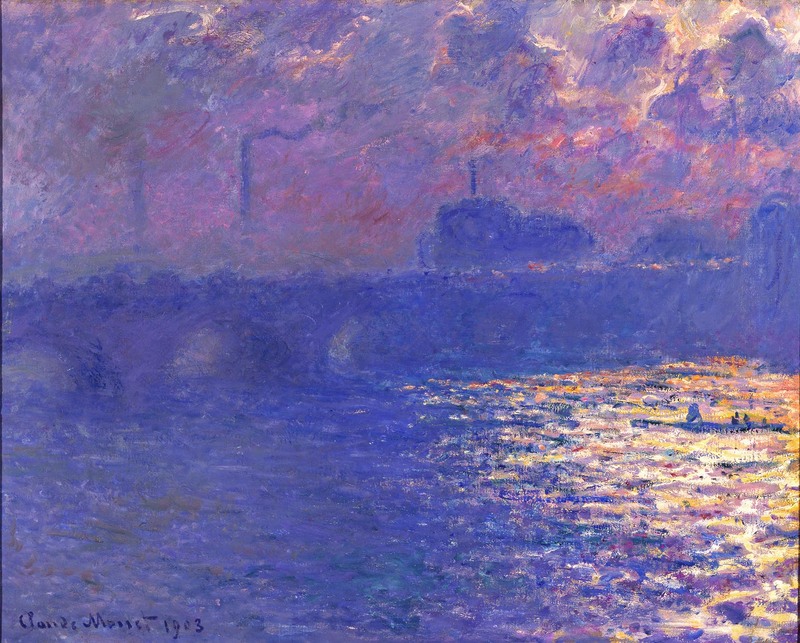 This entry was posted in Art, Curatorial and tagged art history, collecting, monet, provenance. Bookmark the permalink.